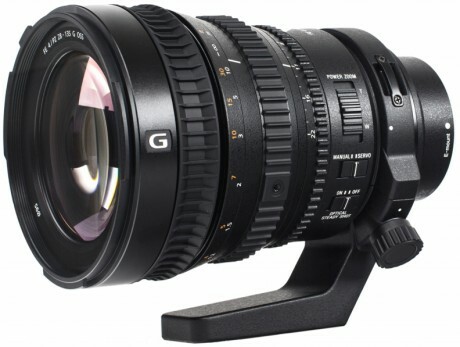 The Sony FE PZ 28-135mm F4 Zoom Lens is an E mount ENG style optically stabilized zoom lens. It has an electronic zoom control via both zoom ring and lens-mounted servo switch, a manual focus ring and iris ring that supports electronic camera control. It allows a greater zoom range than similar photography zoom lenses.